How to move to New Zealand. For Americans who are considering deserting their country if Trump becomes president, you can move to New Zealand and the government has developed an entire webpage to make leaving as easy as possible and learning how to move to New Zealand. Here are 15 free things to do in the North Island. The pay may be lower than in the US but the quality of life and the work life balance are high in New Zealand. Throw on top of that free healthcare for residents and our amazing movie set worthy scenery and New Zealand has a lot going for it. Plus, New Zealand’s cities rated less expensive that most major American cities, even though the standard of living was the same. And we’re also the 8th happiest country in the world. We’re trying to work on that Stat because we think it’s a bit low. New Zealand is not only an attractive option as per above but we also have a shortage of skilled workers, especially those under the age of 30. If you qualify as a skilled worker and make over $45,000 NZD, you can be granted a stay for up to five years – just long enough for the US to come to its senses and impeach Trump for whatever heinous act he will no doubt commit when given the full attention of the media. 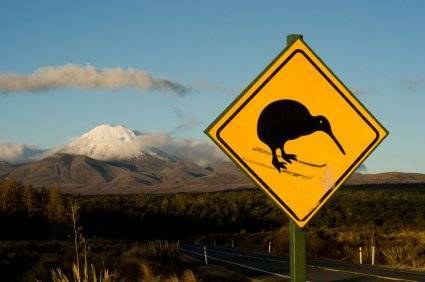 First, wannabe Kiwis register their interest, then sign up on a website that will tailor an easy-to-follow checklist for each visa application process. Second, you can check your qualifications here to see if you fit on a skilled workers visa. You may be reassured to know that HSBC’s 2015 Expat Explorer survey rated New Zealand the easiest country in the world for setting up finance and property matters. Expat Insider agreed, ranking New Zealand second for ‘ease of settling in’. You can even download a guide on Kiwi workplaces to see what its like to work in NZ. US citizens do have to pay taxes in the US if they make over $80,000 USD a year and they need to comply with FATCA but your bank will ask for all of the relevant information and provide the information to the IRS for you. There are two major websites that Kiwis use to find a job Trademe and Seek. To apply for any advertised job you must have a valid work visa or residency and it is usually better to be in the country before you apply. The job markets in Auckland and Wellington are fast moving and there are a lot of opportunities. But you can also check out Queenstown. I mentioned Auckland and Wellington as good job markets and Christchurch is good as well. When I first moved to NZ I thought I had to live in Auckland to get a job in IT but when I got there I was not inspired by the city. I also didn’t want to spend an hour getting from one side of town to the other and in the 12 years since I first stepped foot in Auckland its only gotten worse. And the crazy housing market does not help. I’ve settle in Wellington which has been named the ‘coolest little capitol’ and it is an easy city to get around and find work. Disclosure – I am writing about my personal experience with immigrating to New Zealand. I am not an expert in this area but the Immigration New Zealand website contains a wealth of information for those interested. I am writing about my experience in how to move to New Zealand.